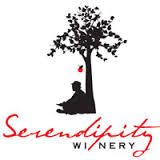 Serendipity Winery (990 Debeck Road, Naramata, British Columbia) is getting set for their annual series of exciting events at the winery this summer, serving as inspiration for travel to the Okanagan Valley. Their annual Naughty & Nice Party (Saturday, August 1, 10:00 am to 5:00 pm) features complimentary wine tastings paired with unique culinary creations from winery owner Judy Kingston. Admission is free and all are welcome. On Saturday, August 15, their successful Movie Night Under the Stars series returns with a sunset showing of ‘Good Will Hunting’. The $25 admission fee includes a glass of Serendipity wine and a generous slice of gourmet pizza. Bring your own blanket. The Serendipity wine shop is open daily through the summer from 10:00 am to 5:00 pm until the Okanagan Fall Wine Festival. This entry was posted in Wine Tastings and Special Events and tagged Naramata, Serendipity Winery, Winery Events by uncorkbc. Bookmark the permalink.